Aging is different for everyone, as every adult child of an aging parent learns. Some people find themselves suddenly thrown, unprepared, into the role of caregiver following a catastrophic diagnosis. Others slowly ease into a caregiving role over many years as an aging parent slowly, steadily, almost imperceptibly declines. And some never become caregivers at all, but worry about what the future might hold. No matter where you are in the aging journey, a little preparation goes a long way. There’s something profoundly soothing about knowing that others have experienced the same situations you have. Recognizing your parent in another parent’s story can provide immense clarity. Reading is fun and relaxing, offering a chance for some quiet repose after a long day. 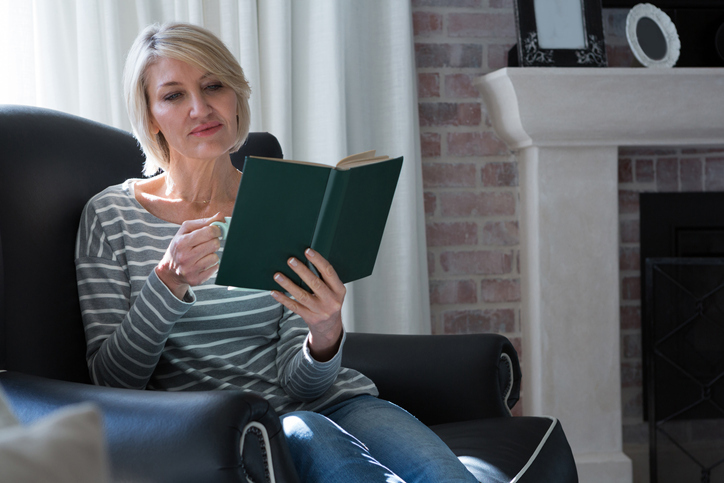 So here is a reading list of our top picks for children of aging parents. Over three decades, Nancy Kriseman has honed the art of building and maintaining strong relationships with family members with dementia. In Meaningful Connections, Kriseman helps readers understand how to gauge a loved one’s cognitive ability, and she provides suggestions to cater communication styles to promote engagement. Kriseman also highlights the importance of using a loved one’s hobbies and interests as a bridge to building meaningful relationships today. Primary progressive aphasia (PPA) is a poorly understood variant of frontotemporal dementia. It often goes undiagnosed or incorrectly diagnosed. If your loved one is having trouble with language, this book offers compassionate support and the profound reassurance that you’re not alone. It also goes much further than offering advice to those struggling with PPA. The lessons it offers in finding meaning in suffering, in the value of caregiving, and in the challenges and triumphs inherent in changed roles apply to aging and caregiving of all varieties. This touching and deeply philosophical book argues that medicine often neglects quality of life in favor of length of life. For families struggling with end-of-life decisions or grappling with ultimate questions of meaning, this book offers both comforting advice and a sobering wake-up call. This often funny, occasionally serious, and always heartfelt memoir features relatable characters facing familiar challenges. Spanning several years and featuring cartoons, the story chronicles the challenges of finding help, the competing needs of seniors and their caregiver children, and everything in-between. The end product is a subtle masterpiece about what it means to be a caregiver. Memoirs about caregiving are often saccharine, trying to find meaning in the apparently meaningless. Mom’s Cancer is an unflinching glimpse of life with metastatic lung cancer — but in graphic novel form. For those tired of the predictable triumph-over-adversity formula, this honest portrait offers comfort, meaning, and an occasional reality check. Written by an elder care attorney, this book draws parallels between parenting and elder caregiving. It features an elderly grandmother who has forged an alliance with the author’s two-year-old, with both determined to thwart the author’s authority and undermine her caregiving efforts. It’s ceaselessly hilarious, but beneath the hilarity lurks an accurate and sympathetic portrait of what caregiving really entails — especially when you have young children. Caregiving is many things, including brutal. When the burden seems too much to bear, turn to this practical guide. It’s inspired by Buddhist teachings, but has remained an international bestseller for years because of its practical, mindfulness-oriented approach toward getting through life’s most painful challenges. Too often, caregivers face an impossible challenge: lose yourself and provide excellent care, or retain a sense of self and neglect your caregiving duties. This book shows that this dilemma is a false dichotomy. You can be an excellent caregiver while still having a good and fulfilling life that includes some time and space to yourself. Aging is a fact of life. Many people fear it, but it will happen to any of us lucky enough to live a long life. So spend some time preparing. The right senior living community can be a source of immense support for both you and your parent. To learn more, check out our free guide, The Journey to Senior Living.